Today’s teenagers are more digitally connected than ever before. The mental health consequences can be staggering. This workshop will demonstrate Play Therapy techniques to genuinely connect with the modern teen. Recent research suggests that today’s teens spend more than 5 hours a day on social media and are at risk for developing serious mental health issues such as depression and suicidal ideation. We will explore the impact of developing a genuine connection with our teen clients and how this connection impacts their development. This experiential workshop will focus on the value of genuinely connecting with teens and how to use technology as a tool in developing rapport. A variety of theoretical orientations will be presented. Play therapy techniques will be demonstrated and experiential participation will be encouraged. Describe three negative impacts of digital communication. Identify the primary need of this population. Describe key factors and connecting with adolescents. Identify how to use technology to engage a teenager in the play therapy relationship. Demonstrate several play therapy activities to help adolescents confront their issues. Identify when technology is creating a therapeutic disconnect and how it may be incorporated into the play therapy process. Scott Riviere, MS, LPC, RPT-S, is a Licensed Professional Counselor and Director of K.I.D.Z., Inc., Louisiana's first Play Therapy Institute, where his practice is limited exclusively to children and adolescents ages 2-18 and their families. Scott has over 25 years experience dealing with such issues as grief and trauma, anxiety disorders, ADHD, behavioral problems, attachment disorders, and Autism Spectrum disorders. He is currently serving on the Board for the Association for Play Therapy and has been recognized by the Association of Play Therapy for his contribution to the field. 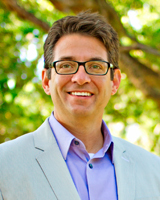 He is a published author, international speaker and frequent guest on various media outlets. Progress in play therapy often requires that children and families address uncomfortable feelings and experiences. Unfortunately, research suggests that only one quarter of play therapists acknowledge practicing family play therapy, citing discomfort and a lack of training as primary reasons for not involving families more. In this workshop, participants will strengthen their knowledge and skills in working with families through play therapy. Participants will learn how to identify problematic family system dynamics that tend to interfere with family communication (such as family secrets, family rules, and communication stances) – and will learn strategies for promoting congruent family communication through utilizing foundational play therapy skills and family play therapy activities. Participants will also have the opportunity to assess and promote their own congruent communication as play therapists as they apply the concepts and strategies to themselves through experiential exercises. Define communication from a family systems perspective. Describe family systems concepts that can be useful in identifying unhealthy patterns of family communication that may appear in family play therapy sessions, such as family secrets, family rules, and communication stances. Identify examples of patterns of family communication present in case examples of family play therapy. Identify foundational play therapy skills that can used to promote congruent communication between family members. Describe activities that can be used in the context of family play therapy to facilitate congruent communication between family members. Apply family systems concepts regarding unhealthy family communication to themselves in order to understand their own communication tendencies as play therapists. 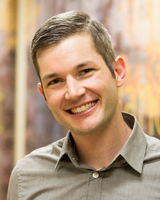 Nick Cornett, PhD, LMFT, LPC, RPT, is an Associate Professor of Counseling at John Brown University in Siloam Springs, Arkansas where he primarily teaches courses in family therapy, filial therapy, and play therapy. Nick is a national play therapy and family therapy presenter, a published author, and is past president of the Arkansas Association for Play Therapy. In addition to teaching and speaking, Nick maintains a small private practice where he specializes in working with children and their families. Nick lives in Siloam Springs with his wife and three children. This presentation will provide a neurobiologically informed perspective of children with sensory-related integration dysfunction. The clinical presentation of sensory processing disorder will be reviewed, as well as the functional and systemic impact of SPD on clients and their families. Participants will be exposed to techniques that address the uniqueness of vestibular, proprioceptive, and other sensory needs. Specific play therapy interventions that support a balanced sensory-lifestyle will further be demonstrated. Experiential opportunities will allow participants to create a sensory informed case conceptualization and treatment plan within the play therapy process. Develop a basic understanding of the clinical presentation of sensory processing disorder (SPD). Articulate 3-5 unique challenges associated with this population, and how this necessitates play therapy. Discern the primary sensory and neurobiological functions that inform sensory-processing challenges (e.g., vestibular deficits). Apply 5-6 play therapy interventions that are sensory-specific, as well as create a sensory-lifestyle for a case example. Identify specific experiential interventions for this population in the play therapy process. Cary McAdams Hamilton, MA.MFT, LMHC, CMHS, RPT-S, is the senior therapist at Olympia Therapy in Olympia, Washington, and the mother of two. 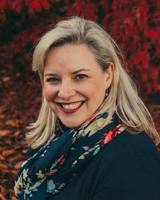 She is the director of the play therapy certification program at Antioch University in Seattle, an adjunct professor at several universities, past president of the Washington Association for Play Therapy, and an international play therapy presenter. Cary’s passion is healing children and providing educational support to parents and families. She loves travel and discovering the natural world, particularly now through the eyes of her own children. She believes children are wise and powerful, and with the right guidance they can grow into amazing successful adults and parents. Cary views children’s play as their life story of triumph and struggle, and believes curiosity drives them to discover, learn and develop into their own unique, beautiful self. .
Building this transition skill takes practice, however, and play is perfectly suited for this task. We can use concepts from current neuroscience to debunk the idea, prevalent in Western cultures, that play is a waste of time. Actually, play is a source of joy and a means for healing trauma. As play therapists, we have no difficulty understanding that play heals, but how do we explain this healing power to parents, colleagues not trained in play therapy, and adults who need to incorporate play into their therapy? We will use case material and hands-on activities to help us articulate the crucial role of play. By integrating some of the current theories in the field of interpersonal neurobiology (IPNB), we can strengthen our science-informed approach for healing through play while simultaneously finding ways to say it simply so that both kids and grown-ups can understand. Describe how sand tray and play therapy activities serve as neural exercises to create a flexible nervous system that helps to heal trauma in play therapy contexts. Identify the three branches of the polyvagal nervous system that are visible during sand tray and other play therapy activities. Explain to another person how the nervous system works during play therapy using the traffic light analogy of Stephen Porges. Name at least three of the seven motivational-emotional systems in the brain. Describe one way that sand tray play therapy provides the safety that is required to heal trauma from an interpersonal neurobiology perspective. Cite one researcher who has provided scientific evidence for the role of play in healing trauma and building resilience. Theresa Kestly, PhD, RPT-S, is a clinical psychologist, educator, and consultant. She is author of The Interpersonal Neurobiology of Play: Brain-Building Interventions for Well-Being, part of the Norton Series on Interpersonal Neurobiology. In her private practice in Corrales, New Mexico, she specializes in play therapy and sand tray therapy with children, adults, families and couples. Theresa has supervised psychology, counseling and psychiatry trainees as an adjunct faculty member at the University of New Mexico. She has also worked with Native Americans over a number of years as a teacher and consultant. Theresa is past president of the New Mexico Association for Play Therapy, and she is the founder and director of the Sand Tray Training Institute of New Mexico in Corrales, New Mexico, where she provides large-group seminars and small-group intensive training for psychotherapists in child and adult sand tray therapy. Adverse childhood experiences (ACEs) are traumatic experiences that occur in a child’s life prior to the age of 18, such as abuse or negative environmental conditions. ACEs may include neglect, abuse, poverty, domestic violence, and parental disruption, among other environmental traumas. Research indicates that when children experience multiple ACEs, there is a higher likelihood of mental health disorders, substance abuse, and physical ailments. ACEs have been linked to adult illness, mental health concerns, and early death, with increased risk associated with an increase of ACEs (Felitti et al., 1988). The purpose of this workshop is to inform play therapists about the role and effects of ACEs, the relationship between ACEs and trauma, and how play therapists can respond most effectively to children who have experienced multiple ACEs. The presenter has engaged in an ongoing research agenda related to the effects of ACEs on child behavioral problems and development, as well as the impact of child-centered play therapy for children who have experienced multiple ACEs. Define adverse childhood experiences [ACE] and list 4 possible ACEs. Identify two ways ACEs affect brain development. Identify at least three negative outcomes of multiple ACEs. List 3 Child-Centered Play Therapy skills that positively impact children with ACEs. Identify 3 modifications to Child-Centered Play Therapy to uniquely treat children with ACEs. Apply Child-Centered Play Therapy skills to working with children who have experienced multiple ACEs. 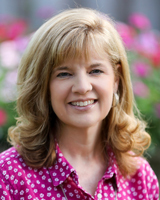 Dee Ray, PhD, LPC-S, NCC, RPT-S, is a Distinguished Teaching Professor in the Counseling Program and Director of the Center for Play Therapy at the University of North Texas. Dr. Ray has published over 100 articles, chapters, and books in the field of play therapy, specializing in research specifically examining the process and effects of Child Centered Play Therapy. Dee is author of A Therapist’s Guide to Development: The Extraordinarily Normal Years and Advanced Play Therapy: Essential Conditions, Knowledge, and Skills for Child Practice, and co-author of Group Play Therapy. She is a founding board member and past president of the Association for Child and Adolescent Counseling, as well as current board member for the Association for Play Therapy. 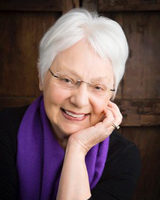 She is an American Counseling Association Fellow, founding editor of the Journal of Child and Adolescent Counseling, and recipient of American Counseling Association Don Dinkmeyer Social Interest Award, Association for Humanistic Counseling Educator Award, Association for Play Therapy Outstanding Research Award, among others. George Fox University/NW Center for Play Therapy Studies has been approved by NBCC as an Approved Continuing Education Provider, ACEP No. 4447. Programs that do not qualify for NBCC credit are clearly identified. George Fox University/NW Center for Play Therapy Studies is solely responsible for all aspects of the programs. George Fox University/NW Center for Play Therapy Studies is an APT Approved Provider [APT Approved Provider 03-134] and retains sole and ultimate responsibility for the quality, conduct of, and record keeping for such programs. This program is approved by the National Association of Social Workers [Approval # 88-6411347] for six (6) continuing education contact hours. The Graduate Department of Counseling at George Fox University is pleased to be the home of the Northwest Center for Play Therapy Studies (NWCPTS). Under the direction of Dr. Daniel Sweeney, the NWCPTS is the largest university-based center focused on the study and promotion of play therapy in the northwest United States. The mission of the NW Center for Play Therapy Study is to promote the healthy development and welfare of children and families through the process of play and filial therapy. In support of the relational, psychological and spiritual wholeness of children and families, the Center seeks to fulfill this objective through the provision of play therapy, training, supervision, and learning resources for students and mental health professionals in the community. The fee is $139.00 per day for each workshop, with a student discount rate of $99.00 per day. Attendance is limited, so early registration is recommended. Registration after 5/24/19 is $155.00 each day. Cancellations must be received in writing 7 days prior to the conference to receive a refund, and are subject to a $25.00 processing fee. No refunds will be made after 5/28/19. In the unlikely event of a workshop cancellation, the NWCPTS is only responsible for a refund of the workshop fee. Conference accommodation information will be sent with registration confirmation.